.... our monthly newsletter which flags up all the "need to know" goings on here at St.Chad's, along with a timely message from our vicar Martin. Click on the link below to download the latest available issue. (Previous issue can be downloaded from near the bottom of this page). not 21st April. Apologies for error. than for a non-Fairtrade one. 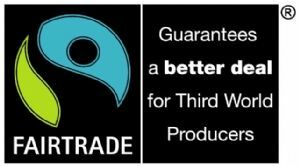 Saint Chad's is a FAIRTRADE church and we have committed ourselves to using only FAIRTRADE Tea and Coffee at our meetings and activities. We have also made a commitment to disposing of church waste in an ecologically friendly way.